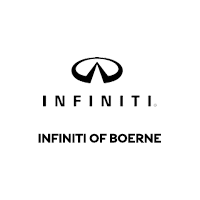 If you're searching for a high-quality used vehicle that you can rely on, the best option is one of our certified pre-owned INFINITI models. These vehicles undergo a rigorous inspection process to ensure quality and are covered by an unlimited mileage warranty of up to 6 years— and those are just a few of the benefits of our certified pre-owned program. When you purchase one of our CPO vehicles in San Antonio, you'll receive the amenities and luxurious touches of a recent model year vehicle at a great price. In fact, you can find an even better price when you opt for one of our certified-pre-owned specials! Whether you're in search of a certified pre-owned car, truck, or SUV, our inventory is sure to have a model that suits your preferences as well as your budget. Contact us today to set up a test drive!